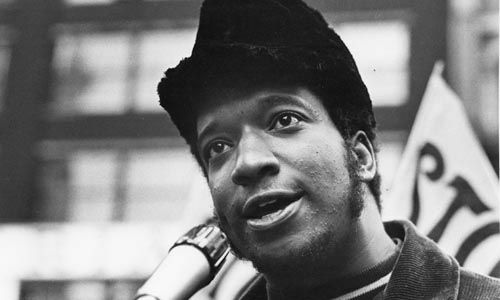 65 years ago a true freedom fighter and revolutionary lover of justice and hue-manity made his earthly debut...Who knew that in only 21 short bright shining years that Fred Hampton, Sr., would cement his legacy as one of the greatest advocates for the liberation and justice for Black people in particular and for good people in general? He was coldly assassinated Dec. 4, 1969, on orders of the State under the auspices of both the Illinois State Attorney's Office of Edward Hanrahan and the F.B.I. 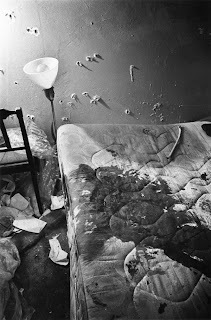 of J. Edgar Hoover...His last meal was prepared by his head bodyguard and trusted confidante, a man named William O'Neal...Hampton just came from teaching an exhaustive political education course to an enthused audience that included BPP members as well as members of the community...O'Neal allegedly put some type of drug in Hampton's food to make him extra drowsy and tired for the tragic event to come...O'Neal was actually a double agent and informant for the F.B.I...Years later overcome by allegedly guilt and torment, O'Neal,whose name was changed and put in the Federal Witness Program at one point, committed suicide by running across the Eisenhower Expressway and getting hit by a car n January 1990...It was O'Neal who gave his F.B.I. 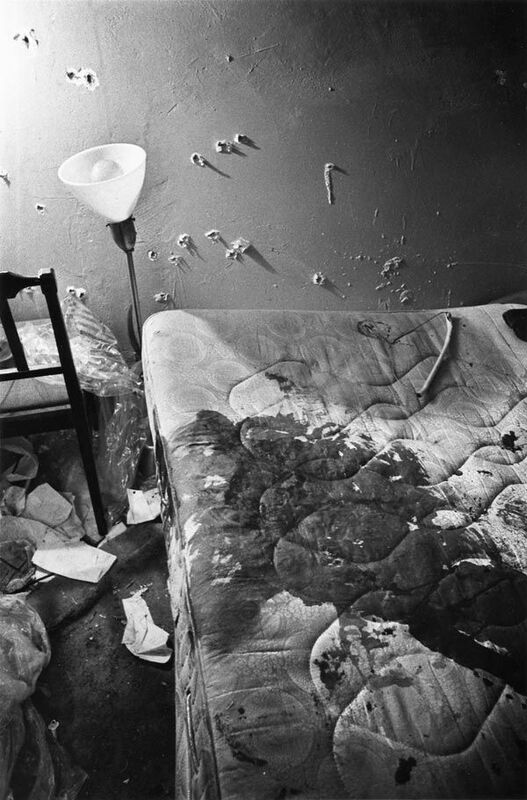 handlers the blueprint of Hampton's apartment for the Chicago Police Department raid in the early morning hours of Dec. 4, 1969, which ended Hampton's life while he lay asleep next to his pregnant fiance, Deborah Johnson, who was 8 months pregnant and would give birth to his freedom fighting namesake just a few short weeks later...Also lost was BPP leader Mark Clark who fired the only shot from his rifle in reaction to getting hit in the chest while he died sleeping/sitting on the couch...Chairman Fred was given a truly Revolutionary State Funeral of which over 5,000 people attended and included such luminaries as Ralph Abernathy of MLK's SCLC and Rev. 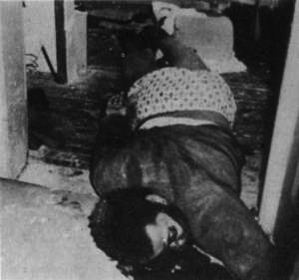 Jesse Jackson as well as representatives from the Young Lords and the Weather Underground and other radical and street organizations that Chairman Fred colorfully dubbed his 'rainbow coalition'...Jackson noted while eulogizing the slain BPP leader that "when Fred was shot in Chicago, Black people in particular, and decent people in general, bled everywhere." W.E. A.L.L. B.E. TV: "What Would Martin Say? 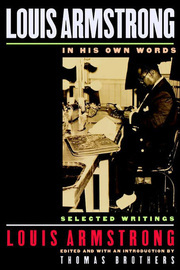 Interview with MLK's Speechwriter & Lawyer Clarence B. Jones." Clarence B. Jones is currently a visiting professor at the University of San Francisco and a scholar writer in residence at the Martin Luther King, Jr. Research & Education Institute, Stanford University, and Palo Alto, CA. 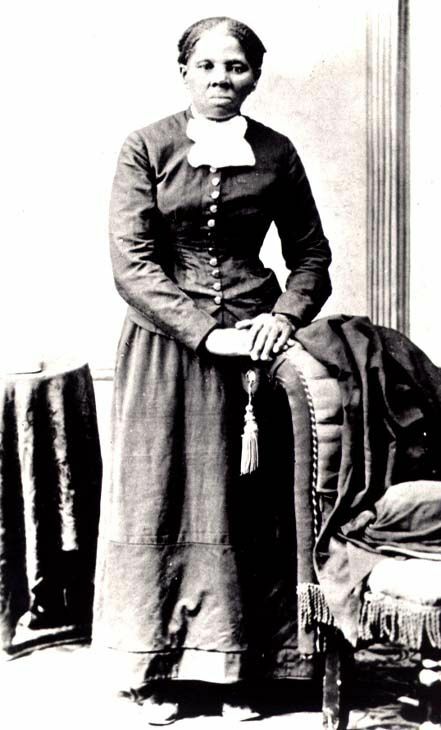 In a distinguished and heralded career, Jones has served as political advisor, counsel, and draft speechwriter for the Reverend Dr. Martin Luther King, Jr.; joined Sanford I. Weill and Arthur Levitt, Jr. in Carter, Berlind & Weill, Inc. as an allied member of the New York Stock Exchange (NYSE), becoming the first African-American partner in a Wall Street investment banking firm; been twice recognized as Fortune’s Business Man of the Month; and founded successful financial, corporate, and media-related ventures. He has also provided strategic legal and financial consulting services to several governments around the world including those in the Bahamas, the Dominican Republic, Jamaica, and Zambia. 1963. 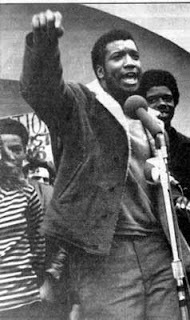 In September 1971, Dr. Jones again found himself at the center of history in the making when, at the request of Governor Nelson A. Rockefeller, he helped negotiate an end to the historic Attica prison inmate rebellion. Washington Post, USA Today, Vanity Fair, Time, Ebony, and Jet, and in several publications in Canada, the UK, France, Ukraine, and Ireland. He appeared in The March, a documentary on the March on Washington, jointly produced by Robert Redford Productions/BBC/Smoking Dogs/PBS. He was recently filmed for a program on the Letter from the Birmingham Jail for Al Jazeera America. A much requested speaker, Dr. Jones has addressed corporate audiences at Citigroup, the US headquarters of British Petroleum, GE, Morgan Stanley, Smith Barney, The Limited, and Google headquarters, as well as law firms including Sullivan &Cromwell and Andrews Kurth, Texas. Dr. Jones has been recognized for his illustrious career with honors awarded by a wide variety of distinguished organizations. He has served on the prestigious boards of The Impact Repertory Theater & Dance Co., The Theatre Development Fund NYC, and the Franklin & Eleanor Roosevelt Institute in Hyde Park, NY. He holds a bachelor of arts degree from Columbia College, a juris doctor degree from Boston University’s School of Law, and a certificate from The New York Institute of Finance and the NASD for his allied membership in the NYSE. 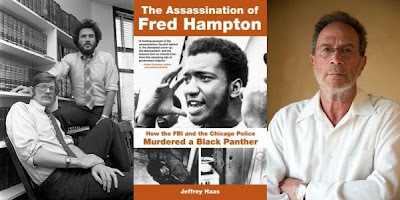 Additionally, he has an honorary doctorate in communications from Allegheny College, and honorary doctorates of humane letters from Drew University, Lincoln University, and the University of San Francisco. 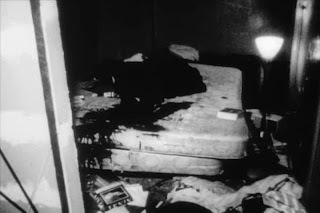 However, Sharon’s story is not a tragic tale but a triumphant one…By her rightfully reclaiming her inheritance in terms of her identity she has in a way exorcised demons that had tormented her for most of her life…Instead of feeling sorry for Sharon you find yourself rooting and cheering her on…Although the book reveals a side of the Armstrong myth that is less than stellar, it does not in any way ruin the Armstrong aura and brand but instead it enhances it by making him accessibly human…The book also shows how Armstrong was willing to sacrifice the love of his daughter for his public image and the love of complete strangers which to me goes back to the following question: Can one be truly great or exceptional at what he or she does while at the same time be a great and attentive parent??? Sharon is the classic underdog with top dog abilities and just like her father she possesses an alchemist touch in turning the mundane into the profound…I highly recommend this book!!! 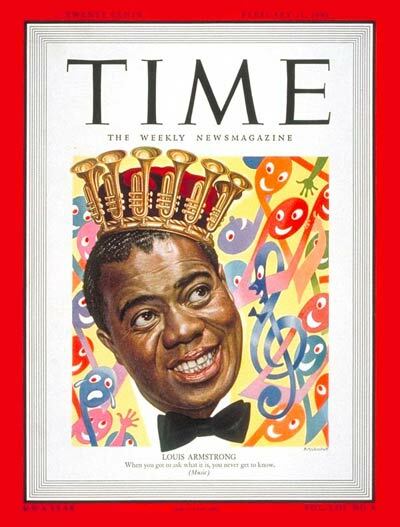 To the world, Louis Armstrong is iconic—a symbol of musical genius, unparalleled success and unassailable character. To Sharon Preston-Folta, he was, simply, Dad. Despite the enduring celebration and study of Armstrong’s life and career, no one, save for close family and friends, knows Sharon exists. 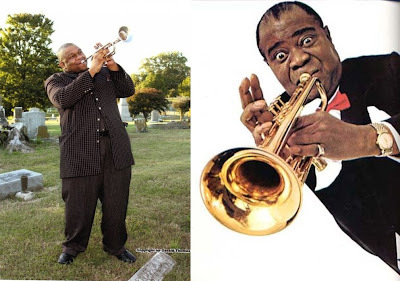 Even in the trumpeter’s death she remains Armstrong’s secret—the product of a two-decade-long affair between the long-married musician, and the vaudeville dancer Lucille Preston. 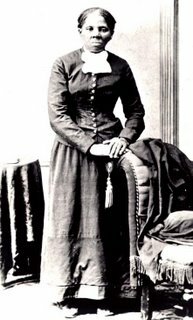 And for more than half a century, she has lived her life hiding in the shadows of her father’s fame. 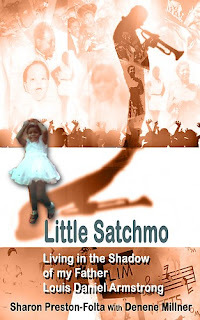 Now, Sharon shares her story—extraordinary because of who her father was, but universal in its reach toward generations who have grown up in fatherless households, searching for a keen understanding of their own blood, their own DNA, their own Legacy. Little Satchmo is an extraordinary tale of identity, loss, and one daughter’s ultimate search for truth—and her father’s love. W.E. A.L.L. B.E. TV: "Echoes of Louis: A Conversation With Satchmo from the Grave"
On Sunday June 24, 2007, And In Honor Of June Being National Black Music Month Yours Truly Had The Honor And Privilege Of Interviewing Arguably The Greatest Musician Of The 20th Century, Louis ‘Satchmo’ Daniel Armstrong…For One Hour In All Pops Shared With Us His Reflections On Growing Up In New Orleans, His Relationships With People Influential In The Development Of His Career And Craft And His Overall Observations About Life…Needless To Say It Was Very Insightful And Colorful Commentary That Was Also Very Edutaining…Please Feel Free To Listen To The Conversation For Yourselves And As Always Please Spread The Good News!!! 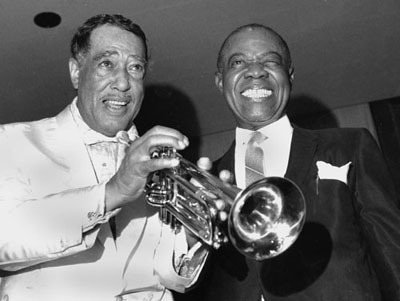 A Wonderful Conversation With One Of The World's Greatest Louis Armstrong Experts!!! Thomas Brothers is Professor of Music at Duke University, where he teaches jazz, African-American music and late medieval music. He holds a Ph. D. degree in music from the University of California at Berkeley. 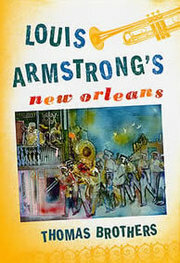 His most recent book is entitled Louis Armstrong’s New Orleans (W. W. Norton 2006). 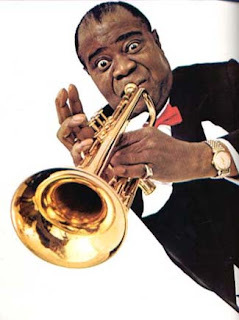 He has also published Chromatic Beauty in the Late-Medieval Chanson (Cambridge University Press 1997), Louis Armstrong: In His Own Words (Oxford University Press 1999), an edition of nineteen documents authored by Armstrong, and many articles on jazz and late medieval music. His awards include a fellowship for study of race and music at the John Hope Franklin Institute (2001-2002), a fellowship for studying New Orleans at the National Humanities Center (2003-2004) and a fellowship for the study of fifteenth-century music at Villa I Tatti in Florence Italy (1999-2000). 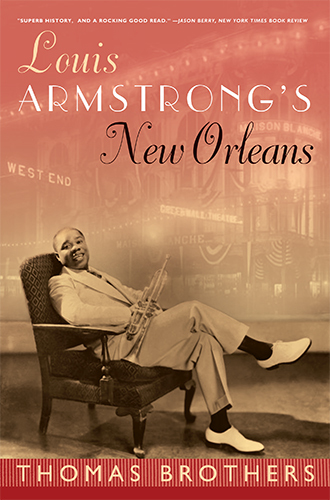 He is currently working on a book that follows Louis Armstrong from 1922, the year he arrived in Chicago, through the mid 1930s. Louis ‘Satchmo’ Daniel Armstrong Was Arguably The Greatest Musician Of The 20th Century…He singlehandedly altered music as we know it for all time…Or did he??? With that said sometimes many of us get caught up in the ‘Great Man of History’ illusion, myth and narrative. Truth be told communities create leaders and not the other way around and Satchmo was no exception. Closely tied to the role of feelings in the transformational learning process is the role of relationships (Merriam, Caffarella & Baumgartner, 2007). It does take a village to raise a child and to even inspire greatness and genius. “Trust, friendship and support” are necessary for effective reflective or rational discourse to occur (Merriam, Caffarella & Baumgartner, 2007). 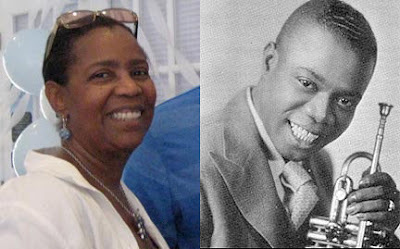 With that said I will show through several examples of how transformative learning theory was applied in the early life and career of Louis Armstrong through several key and pivotal relationships with the Karnofskys, Peter Davis and The Colored Waifs Home, Papa Joe King Oliver & Lil Hardin Armstrong.